Stuff-a-Burger Basket | Patio and Hearth Co. 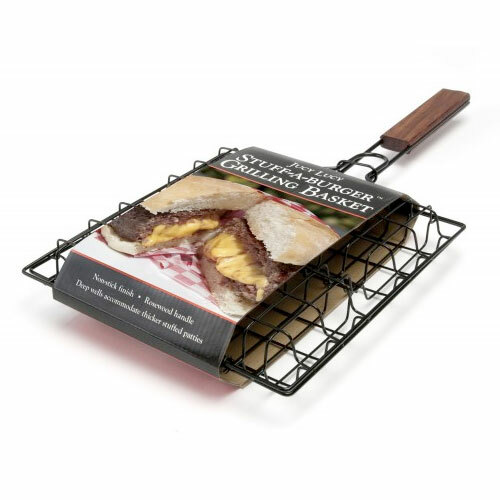 The Stuff-a-Burger™ non-stick burger basket is designed for extra-thick stuffed burgers. This basket is capable of grilling and flipping four patties at once. Inquire about Stuff-a-Burger Basket using the form below.